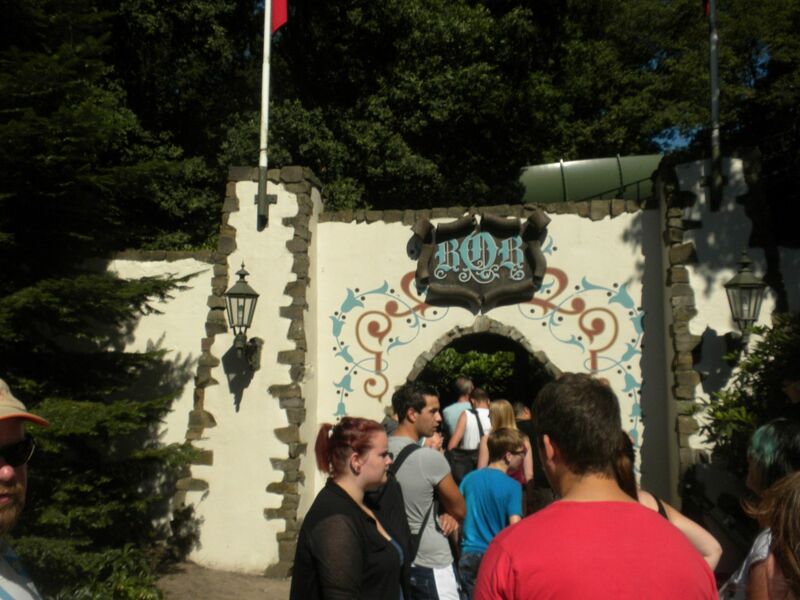 On Thursday, August 1 we drove to Efteling in time for a short period of ERT with hotel guests. 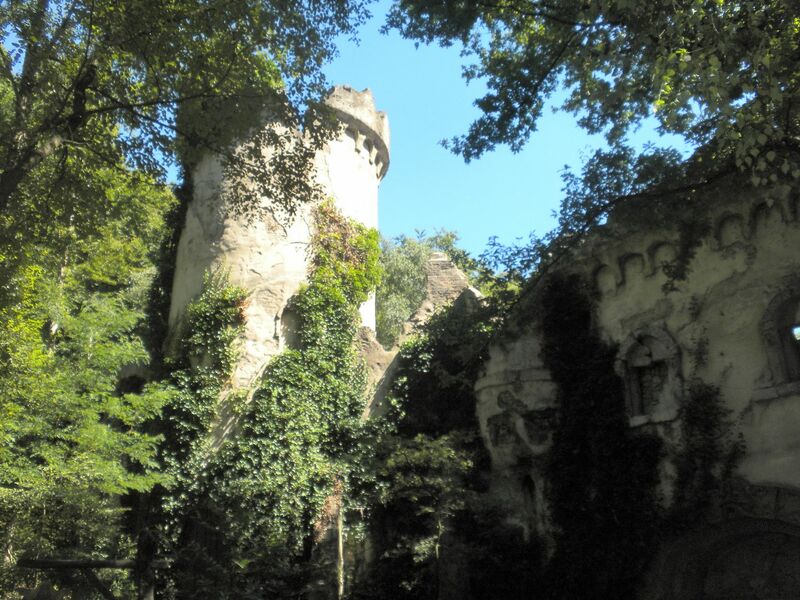 Opened as a fairy tale attraction 60 years ago, the park has grown into a resort with its on hotel. 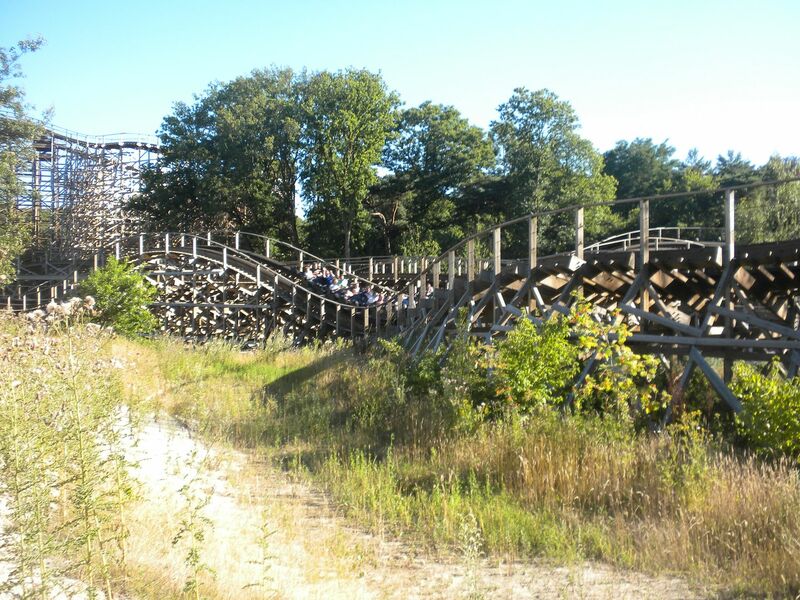 It is highly themed and very large and spread out and has a number of good attractions and some really unique features. I will review by section. This entry section houses the front gate in an elaborate African inspired structure with thatched roofs. There is a show here, Aquanura, billed as the largest fountain spectacle in Europe to mark the 60th anniversary of park. divided into the Vuur (Fire) & Water sides. 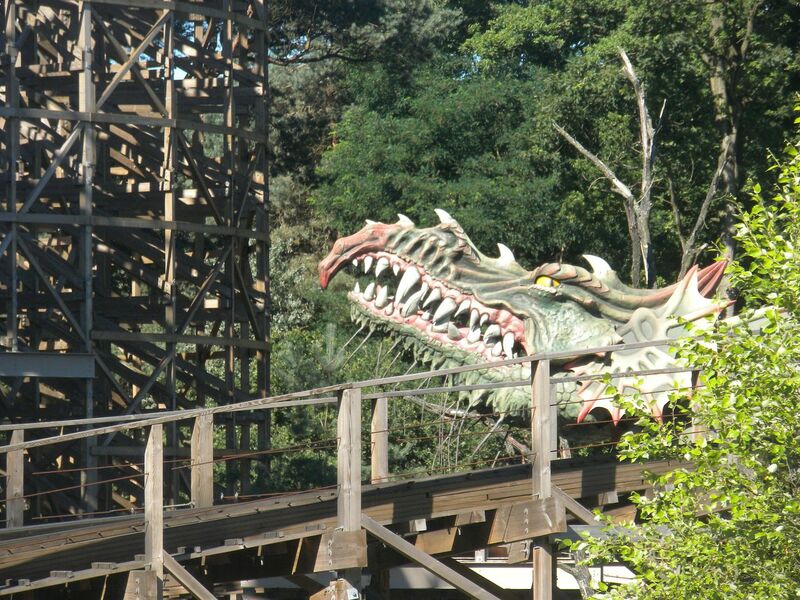 A dragon gets you a little wet as the coaster travels out over a lake. 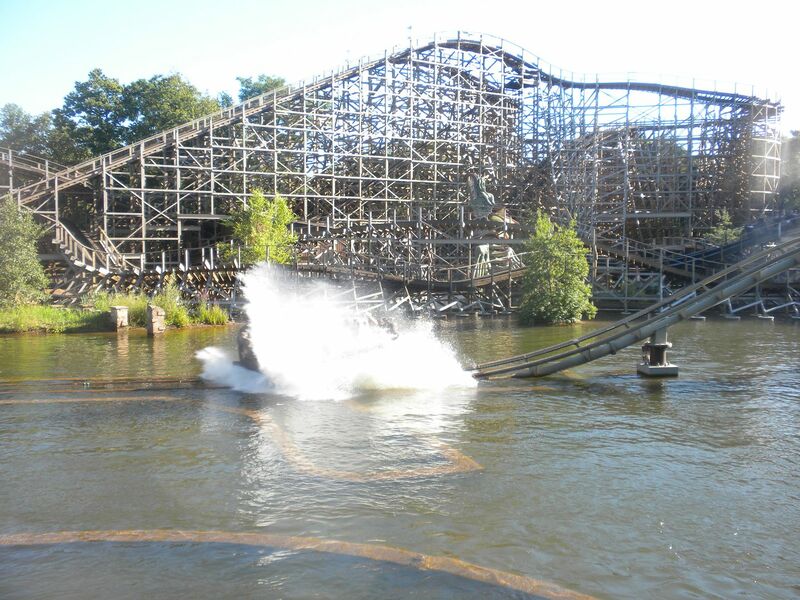 It has great airtime on both sides and its elements are well paced. Most notably the winner of the race has a banner come over the track, and back inside the station the winner receives moving manners and cheers while the loser receives boos. I have not seen this done on a racer before and it adds a lot – 6 rides, 3 on Water, 3 on Vuur, 1 during hotel ERT. De Vliegende Hollander (The Flying Dutchman): (KumbaK, Water Coaster,2007) Based on the story of the Flying Dutchman, Willem van der Decken, captain of the Den Hollander, a ship belonging to the VOC (Dutch East India Co.) who broke all the rules and dared the elements, causing his ship to become a mysterious ghost ship. The entry station is one of the most highly and beautifully themed I have seen. 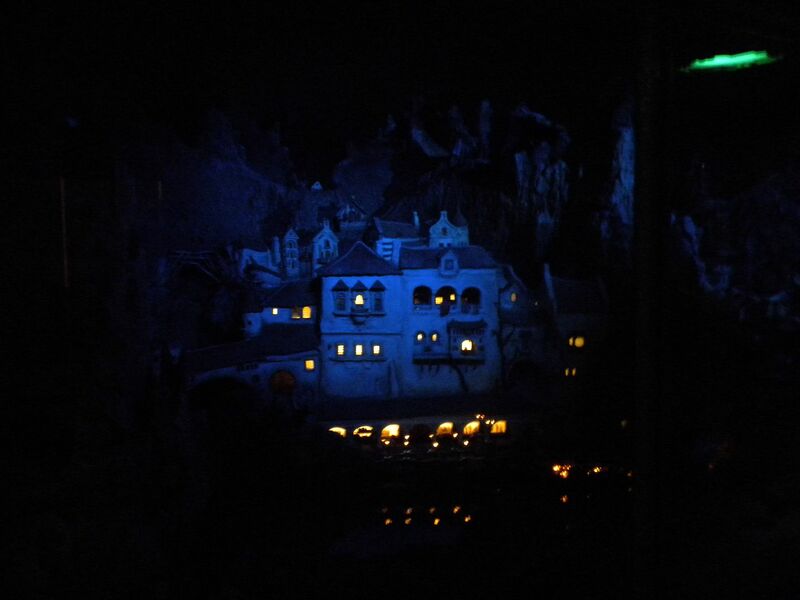 The inside dark ride portion is exquisite and gets you wetter than the outside splashdown. While the coaster part outside is good but not great, the dark ride portion makes this one of the best water coasters I’ve ridden – 2 rides. 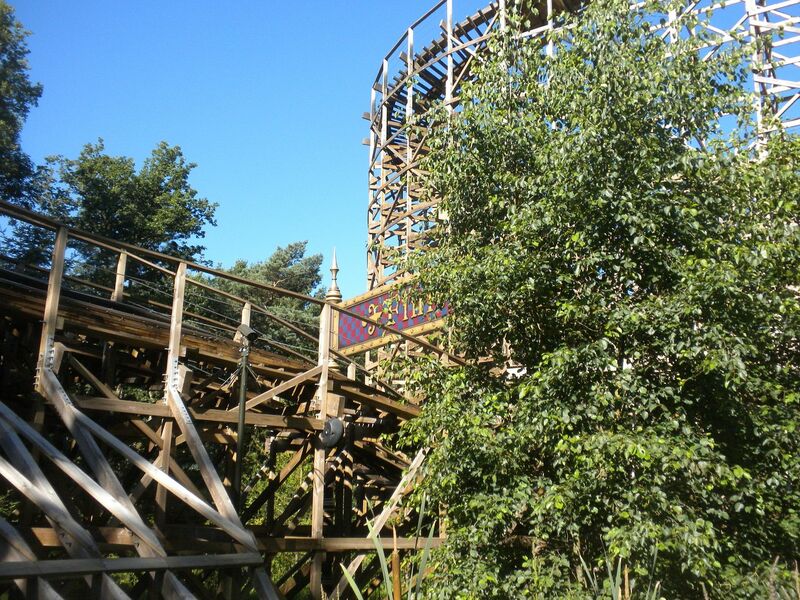 Python: (Vekoma, Lopper, 1981) This is similar to the Big Loop at Heide Park, but with soft shoulder restraints it is much smoother and gives a better ride – 1 ride. 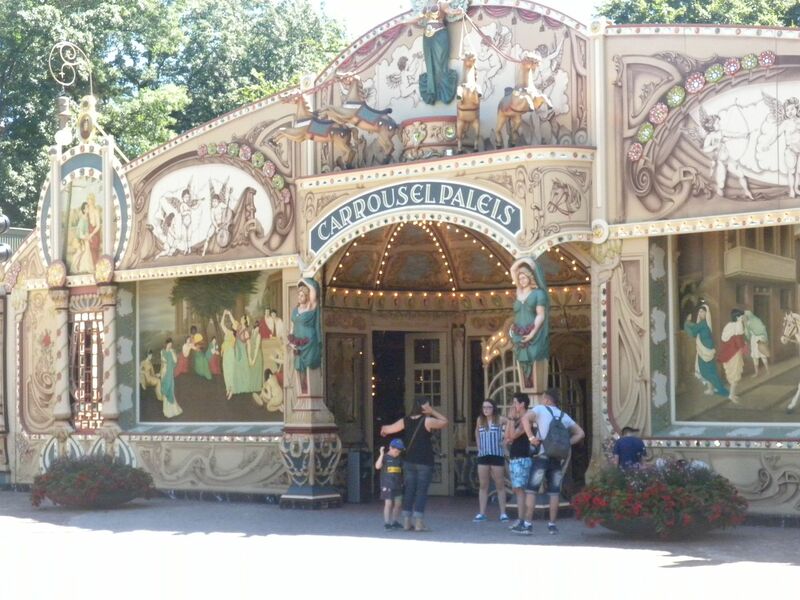 I did not get to ride D’Oude Tuffer, antique cars; Stoomtrein (Steam Train) (I rode to this station but did not get a chance to complete the circuit); Halve Maen (Half Moon), a swinging ship; and Polka Marina, a cog mill. 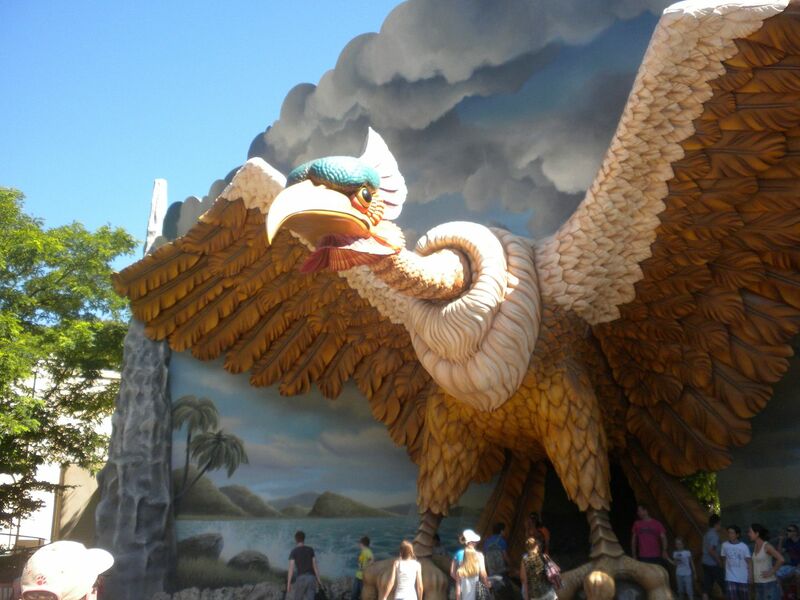 There is one children’s ride. 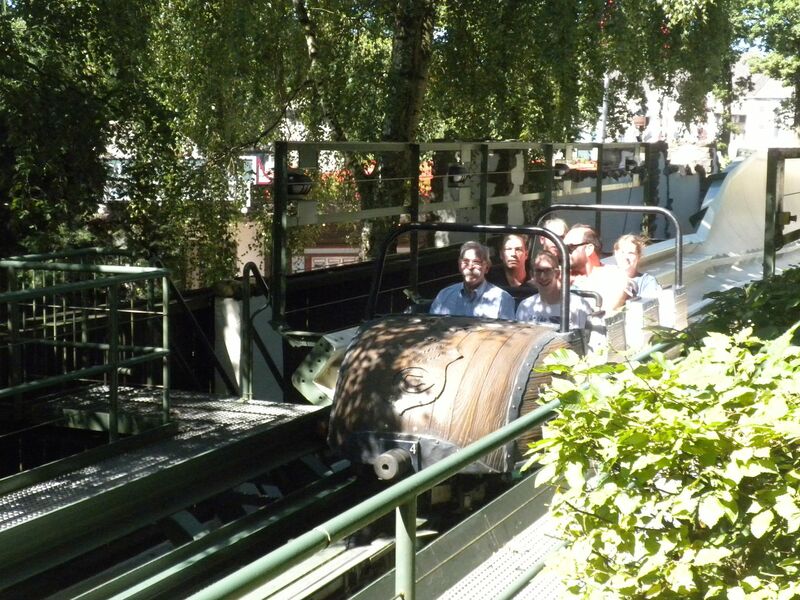 This dark coaster is fun and gives a smooth ride. 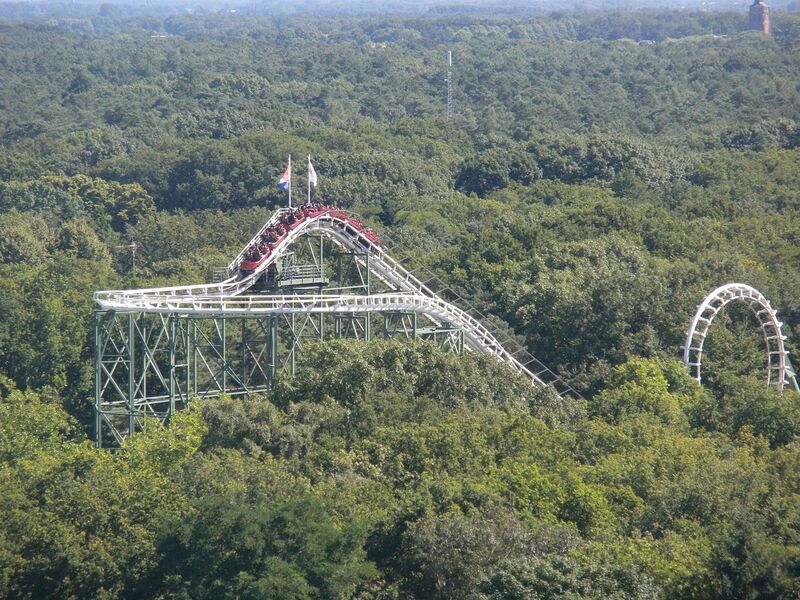 Not overly long, it is fun – 2 rides. 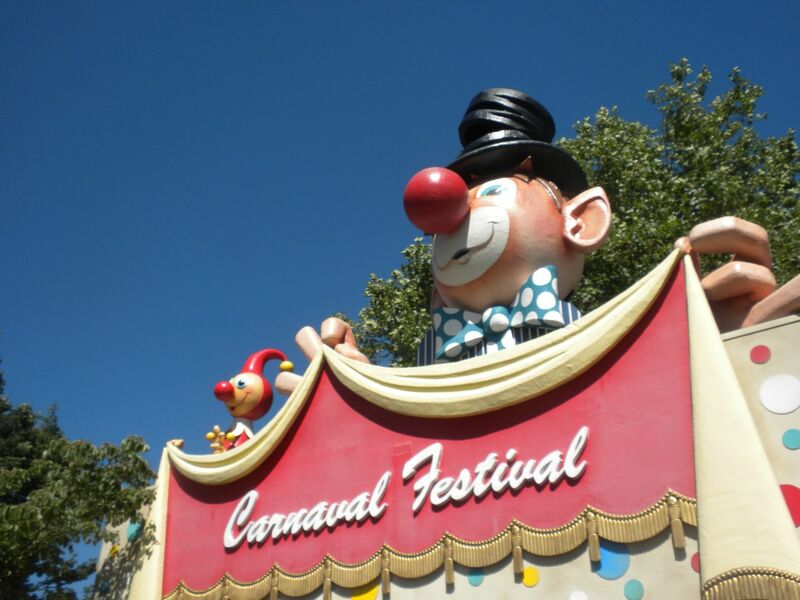 Carnaval Festival: Celebrating Carnival around the word this Small World type ride is nicely done – 1 ride. 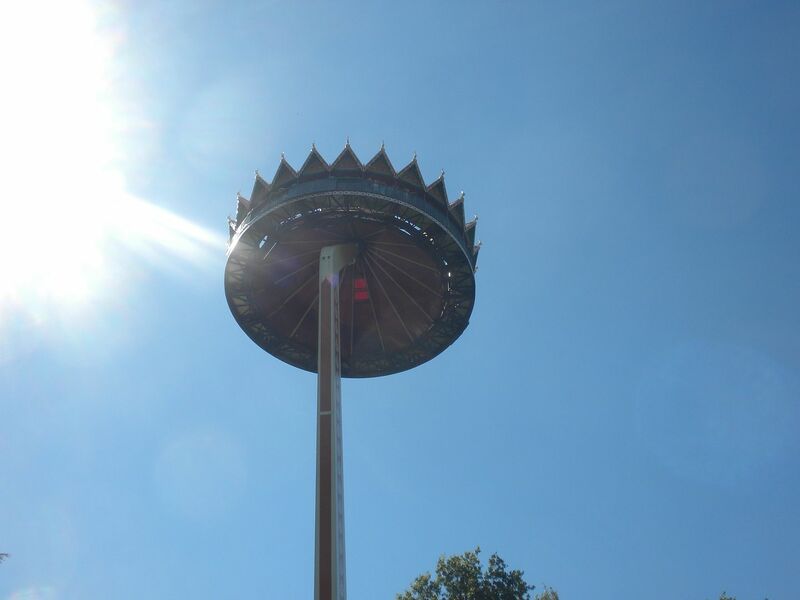 Pagode: This flying island observation ride gives great views of the park and countryside – 1 ride. 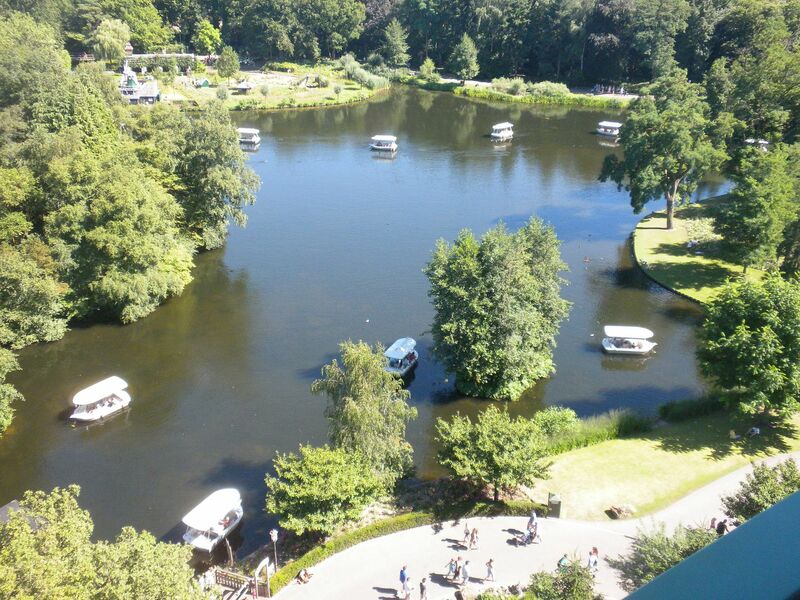 The Gondoletta: This relaxing boat ride on the lake is nice and travels past beautiful scenery and gardens – 1 ride. 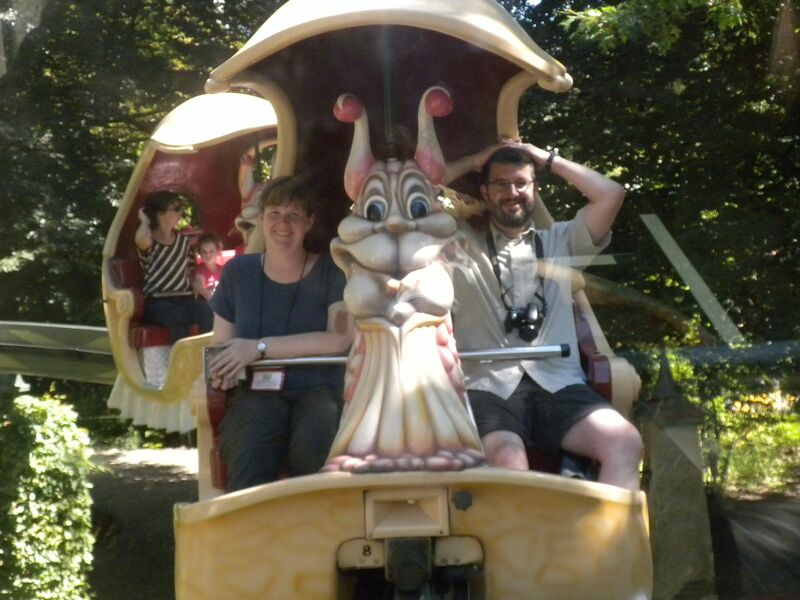 I did not ride Monsieur Cannibale, a teacups type ride, There are 2 children’s attractions. 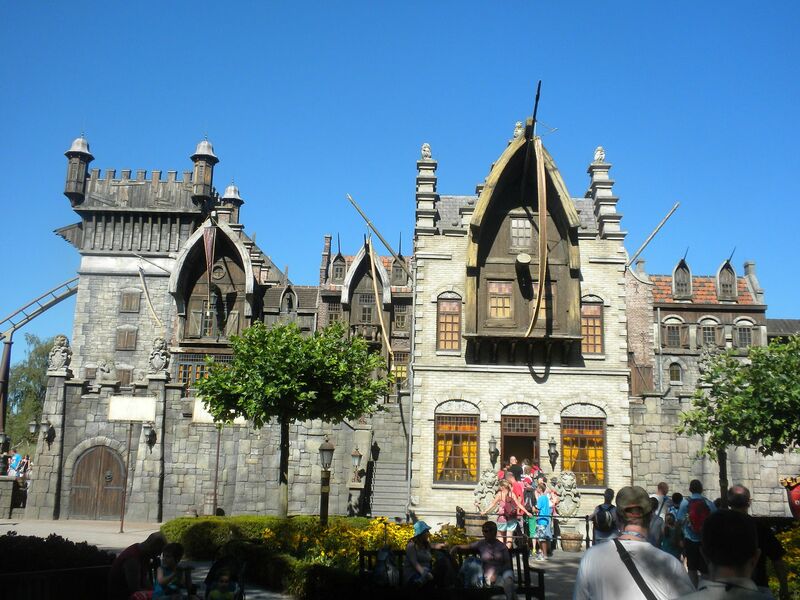 Droomvlucht (Dream Flight): This is one of the most elaborate fairytale rides imagined as you travel suspended over amazing fairy tale landscapes. This is a don’t miss attraction – 1 ride. 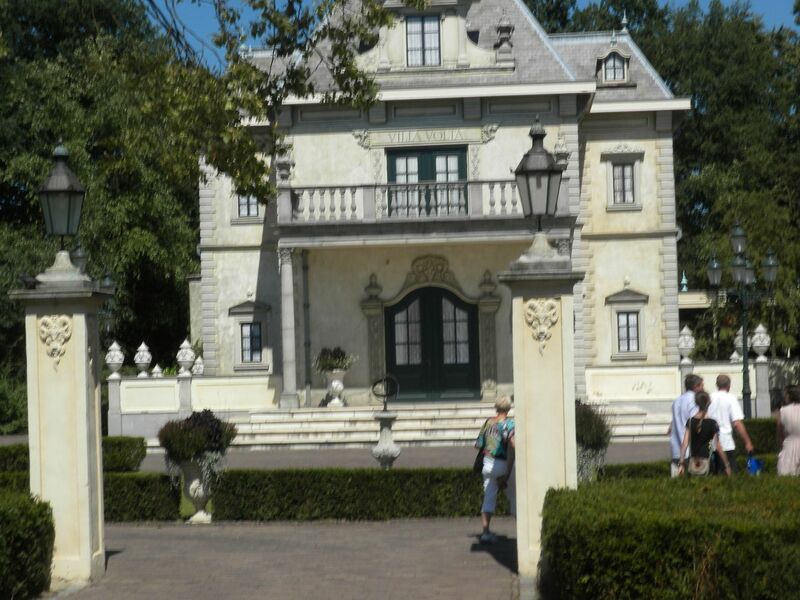 Villa Volta: The fourth and final of our Vekoma Mad Houses of the trip (sixth haunted swing), this had a good theme – 1 ride. 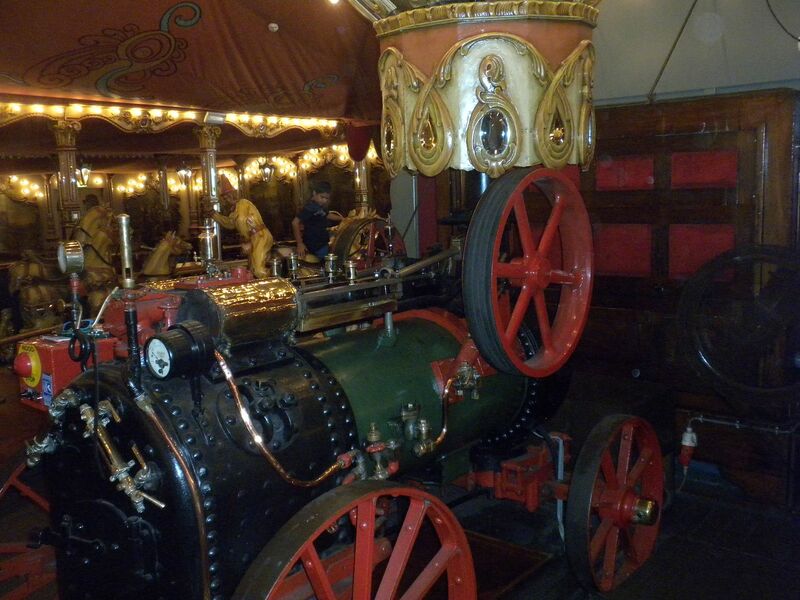 Stoomtrein (Steam Train): Using real steam trains, this is a great way to travel around the park – 1 ride. 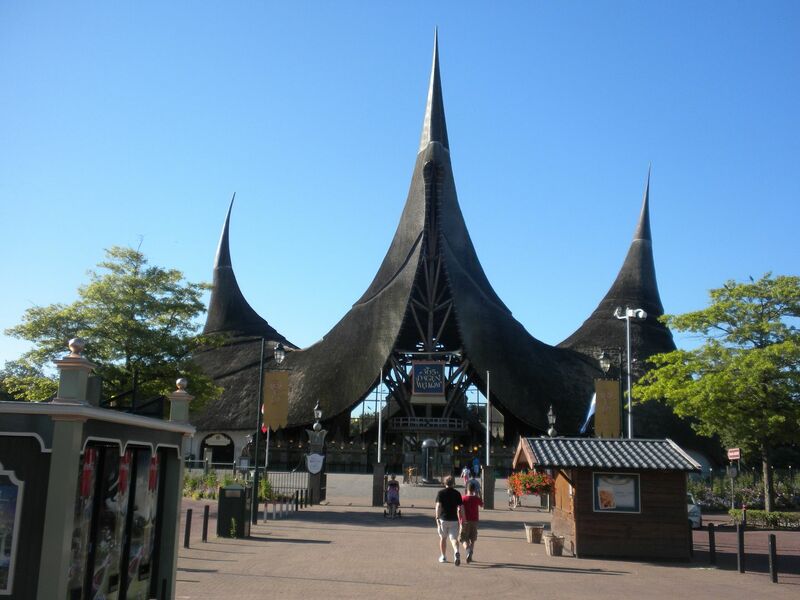 This monorail ride travels over the fairly land of the Laaf People with good views – 1 ride. 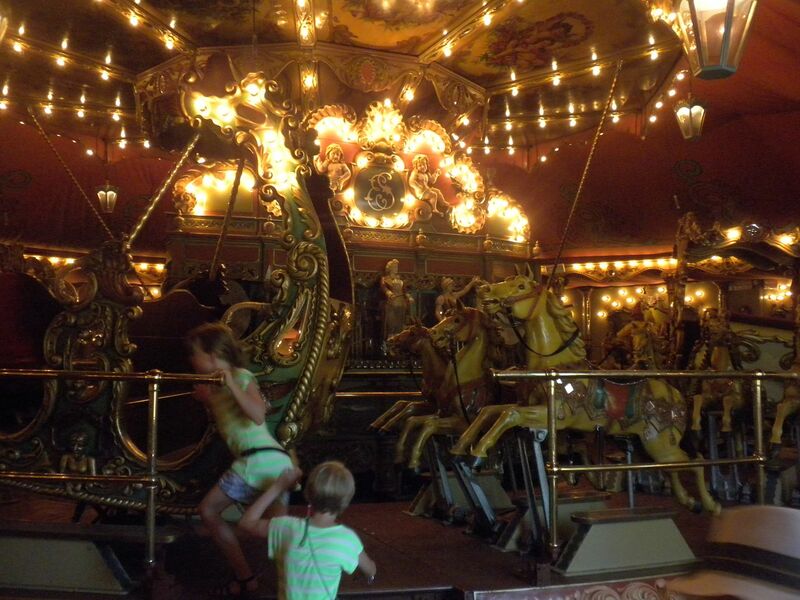 This beautiful carousel has been lovingly preserved. 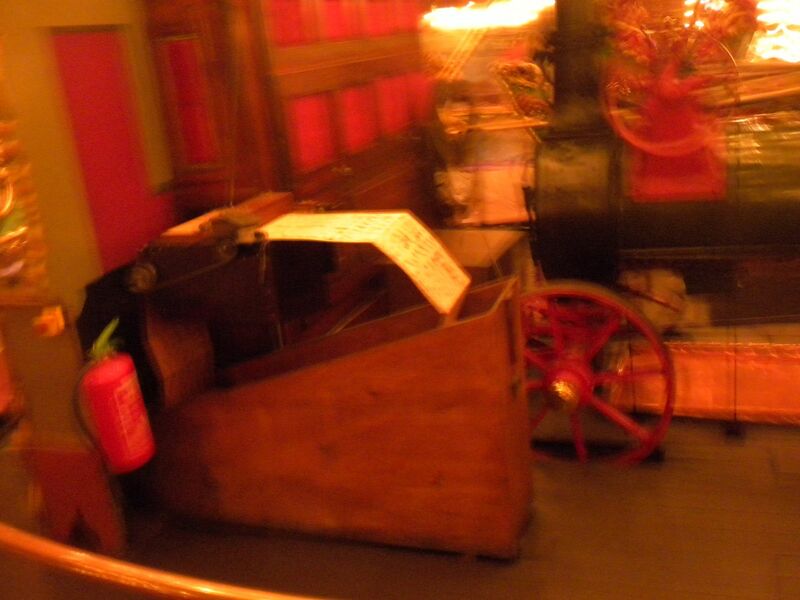 and the fact that the organ plays music from paper sheets – 2 rides, 1 on a horse, 1 on wobbly carriage. 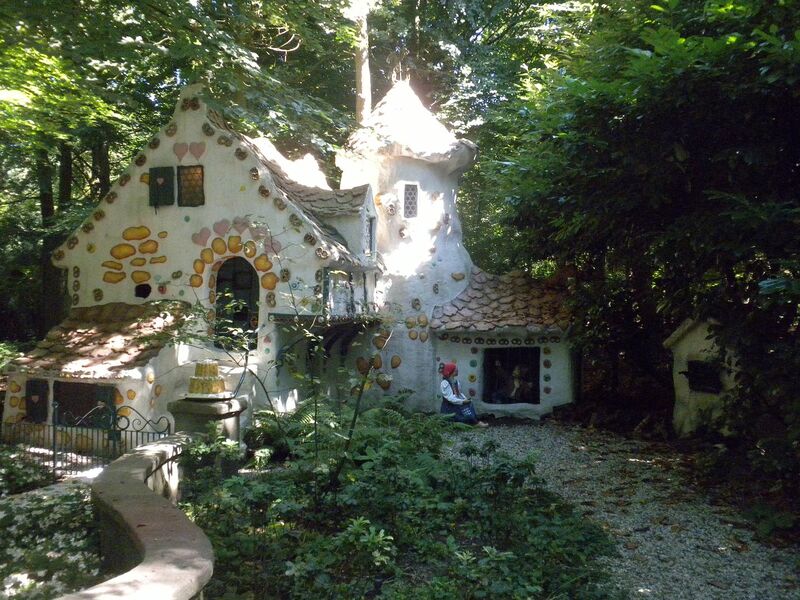 Sprookjesbos (Fairytale Forest): This opened in 1952 and has been added to over the years since. It is easy to get lost in its meandering pathways. 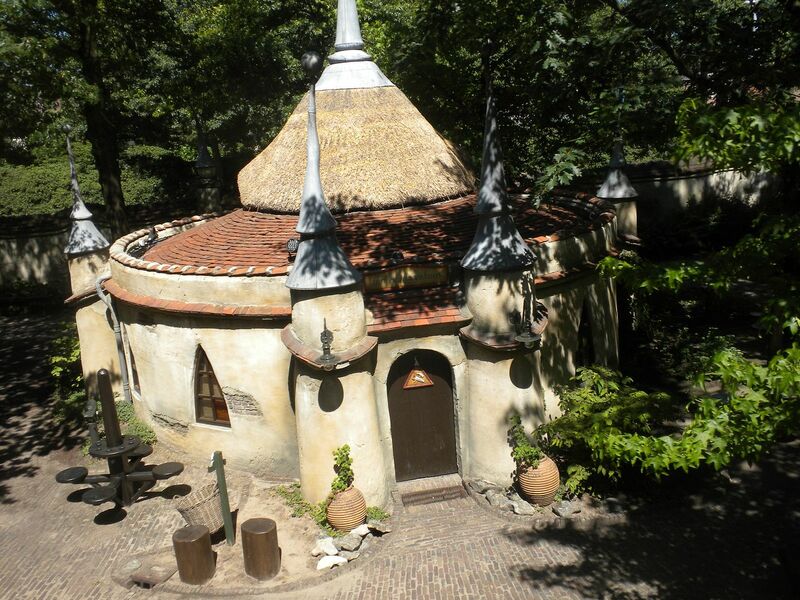 Most fairy tales represented are well known but a few are unique to the Netherlands – 1 ride. 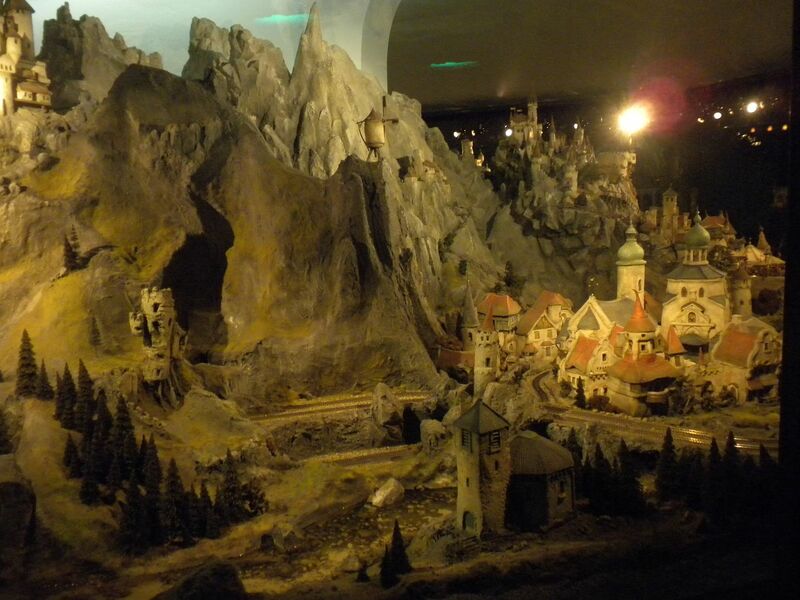 This miniature world is based on the ideas and drawings of Anton Pieck. 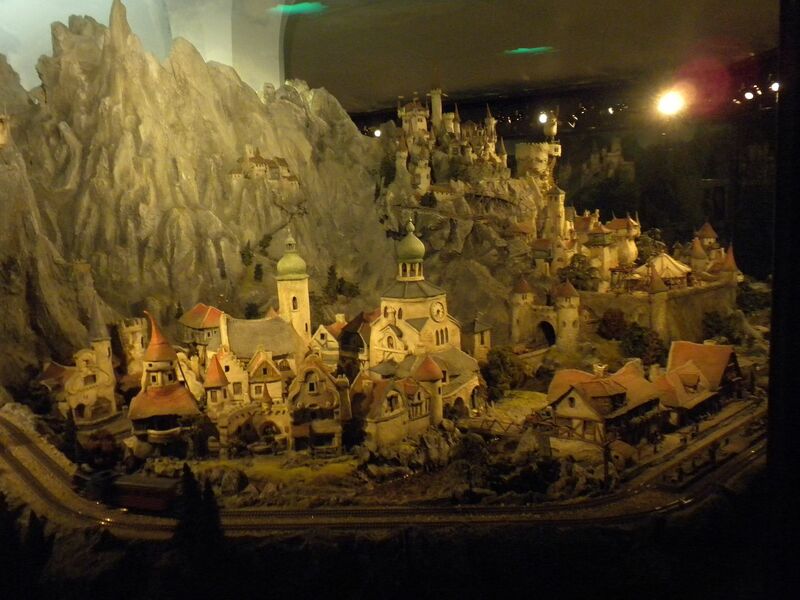 It features intricate miniature landscapes with moving trains, boats, windmills, cars, moving water. It even has a scene in the dark that features lightning – 1 walkthrough. There are 3 children’s attractions. There is a show called Raveleijn. 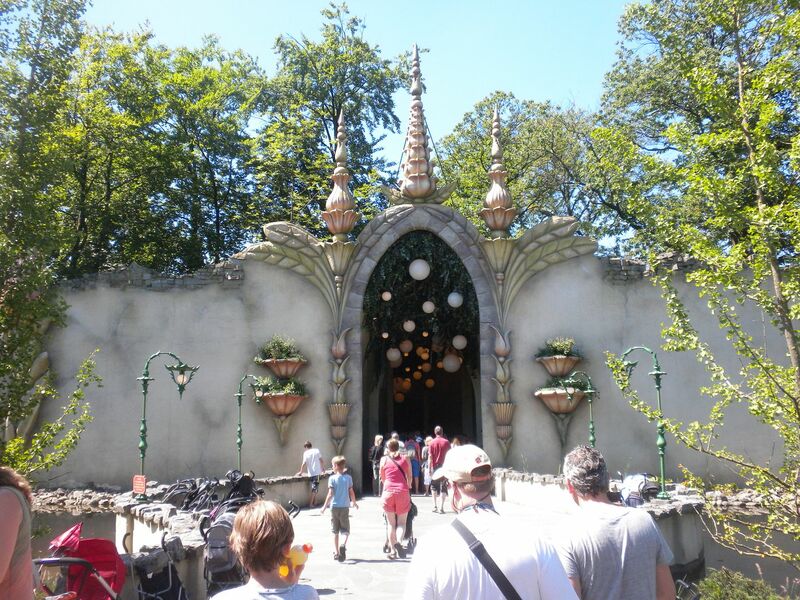 Also in this section is The Efteling Museum. 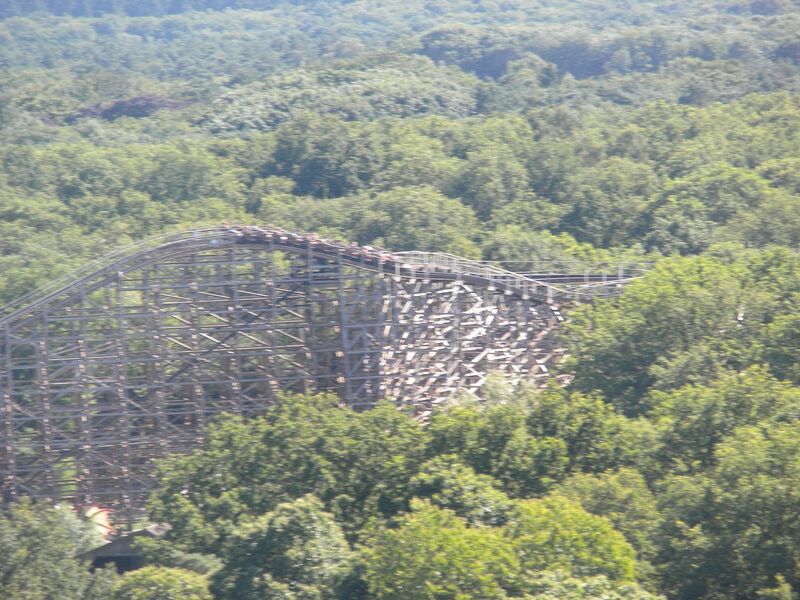 The only Intamin Bobsled of our trip, this gave a fairly good ride, but not as good as a couple I have ridden. 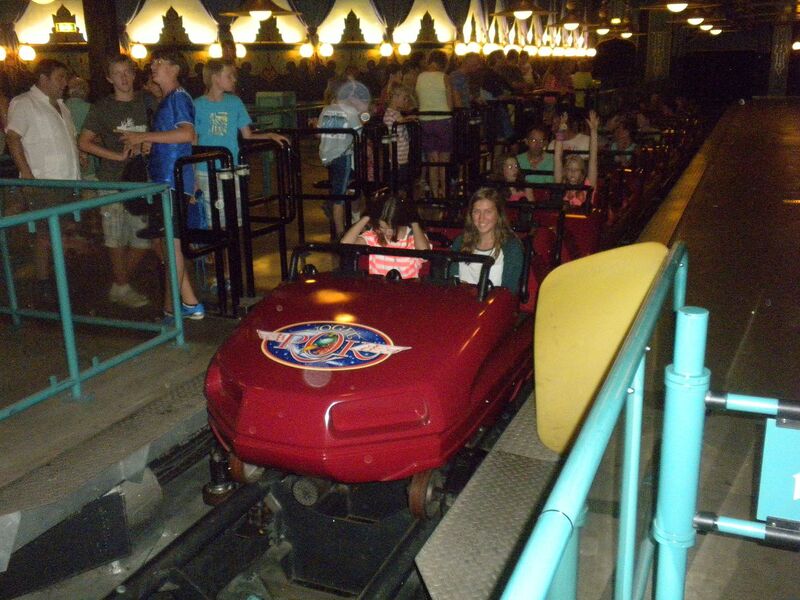 Of note, the original cars were sold to Six Flags Over Texas for La Vibora.-1 ride. 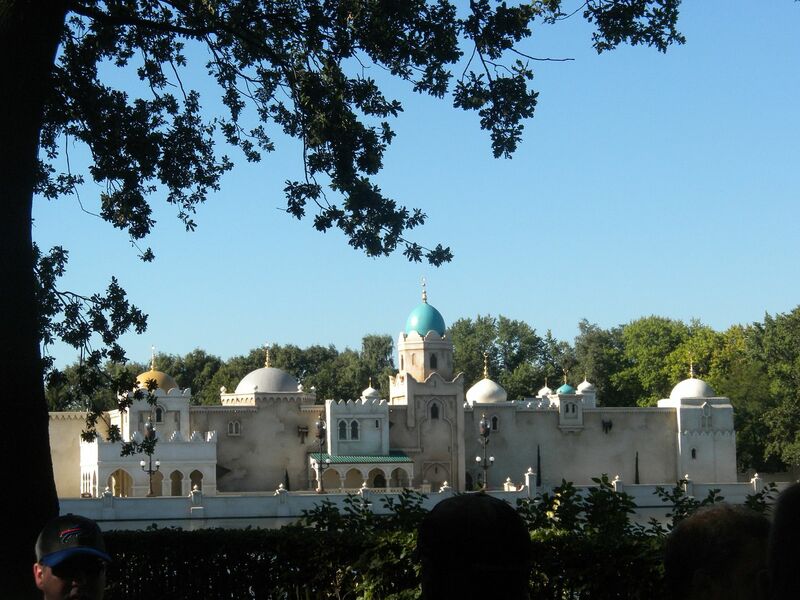 Fata Morgana (Mirage): This boat trip through the Wonderful World of 1001 nights brings Ali Baba to life. 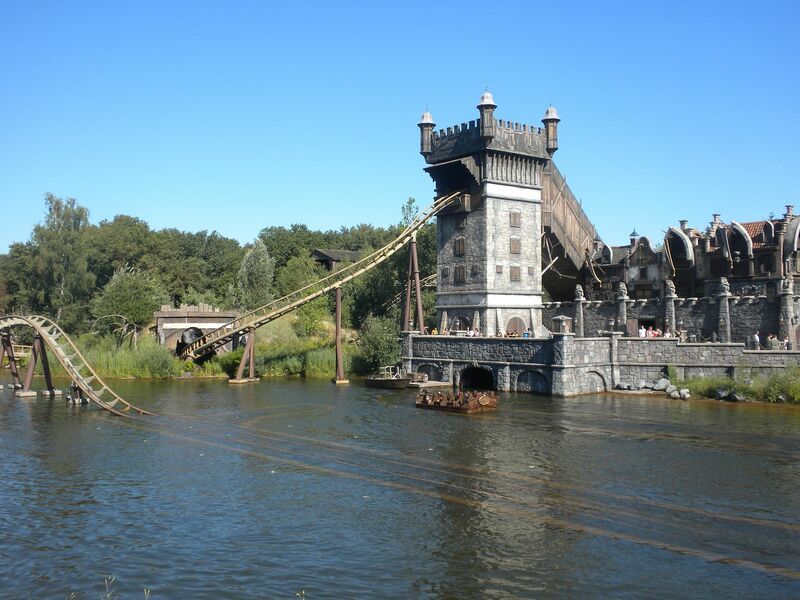 Reminiscent of Pirates of the Caribbean it is very well done and has a long course. The palace that houses it is exquisite – 1 ride. Spookslot (Creepy Castle): This unusual attraction is an animated scene that comes to life (or is it death?) 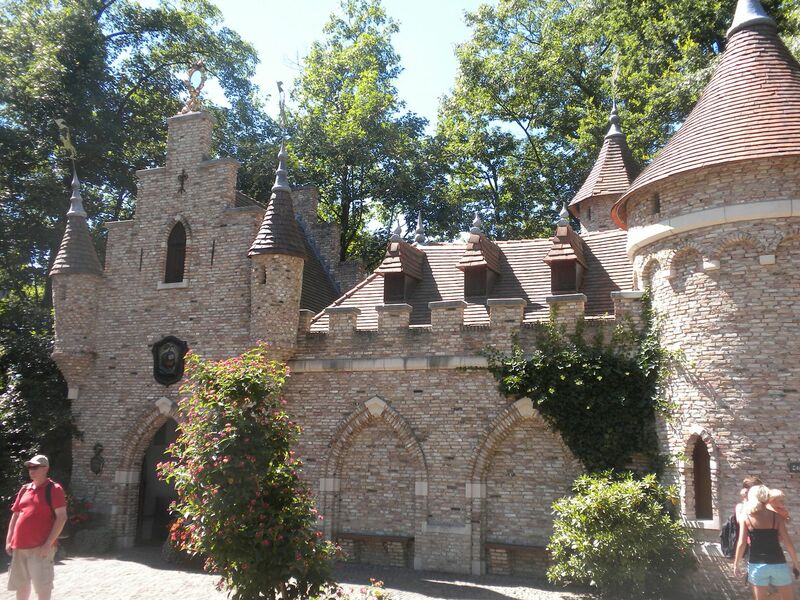 as guests line up along its windows, once deep inside this nicely themed castle. It has good effects including mirror ghosts – 1 show. I did not ride Piraña, a very nice looking rapids ride, or PandaDroom, a 3D film. I was very impressed with this park. 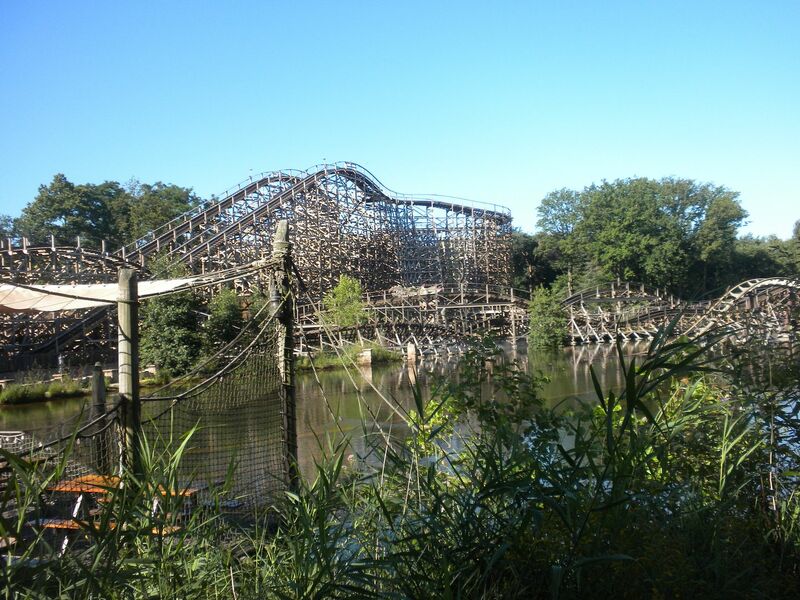 It is beautifully landscaped and has a good selection of coasters, dark rides and other rides, including several historically significant attractions. While we had a full day in the park, there is a lot to do and I would have enjoyed more time. This is definitely a park I want to return to someday. 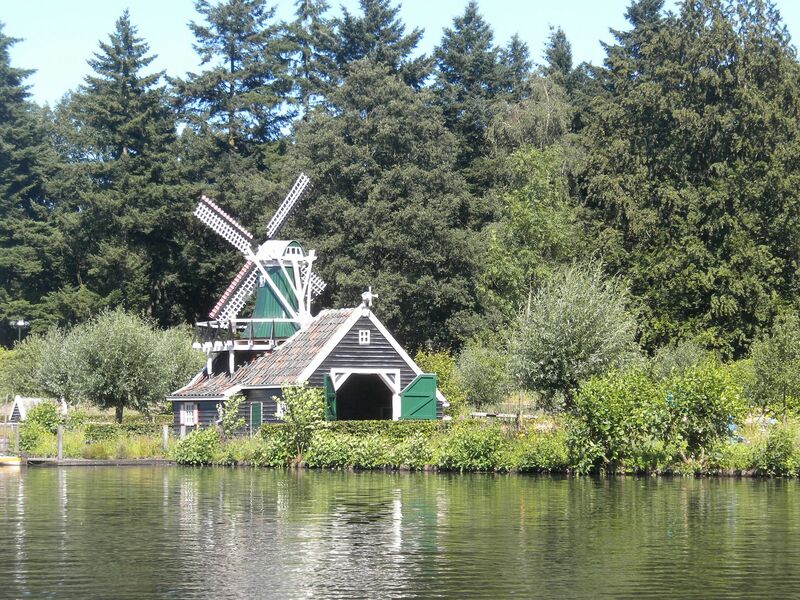 We returned to Veldhoven for the night before going to our next park the following day.